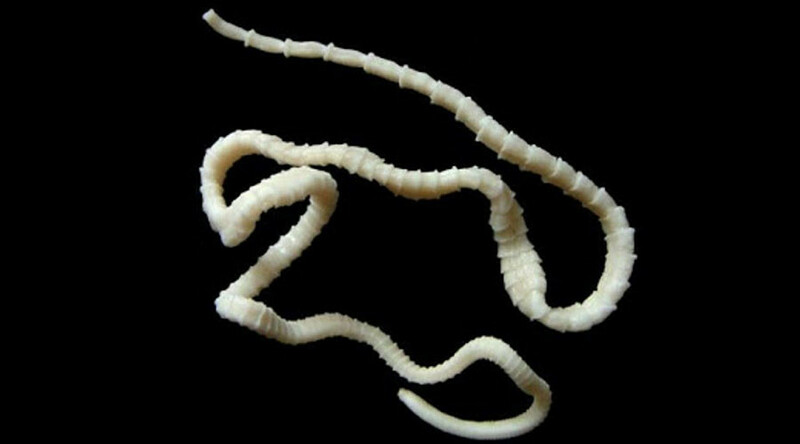 A colossal tapeworm measuring more than 6 feet in length was removed from a man’s intestines through his mouth after it was spotted by doctors during a colonoscopy procedure. Doctors in India discovered the fully intact pork tapeworm, scientifically known as Taenia solium, in the small intestine of a 48-year-old man who had reported abdominal discomfort and lethargy for two months. Details of the startling discovery have been published in The New England Journal of Medicine by the doctors who treated the patient at the PVS Memorial Hospital in Kerala in 2014. Liver specialist at the hospital, Dr. Cyriac Phillips, told LiveScience it was the longest worm he had ever seen, at 188 centimeters (6.1ft). The medical team were performing a colonoscopy on the patient when they noticed a worm segment in his colon, confirming a tapeworm infestation. They then carried out an endoscopy, a procedure which inserts a camera into the stomach and small intestine to view images of the digestive system, and got a glimpse of the lengthy worm sitting in the small intestine of the upper digestive tract. The doctors examined the tip of the creature to confirm it was a tapeworm before extracting it through the patient’s mouth. "Removal was more feasible through the mouth using an endoscope and blunt forceps, holding the head (or scolex) of the worm," Dr Phillips told RT.com. The whole procedure took over an hour according to the medical team who later administered anti-parasitic medications to the patient to kill any tapeworm remnants. The patient was examined one month after the parasite removal and was clear of any additional symptoms. Tapeworms can grow to longer than 11 feet (3.5 meters) and can live for years in the human intestine, according to the US National Library of Medicine. Infections, which usually don’t present symptoms in patients, develop from eating raw or undercooked meat of infected animals. The larva can then grow into an adult tapeworm while inside the human intestine. 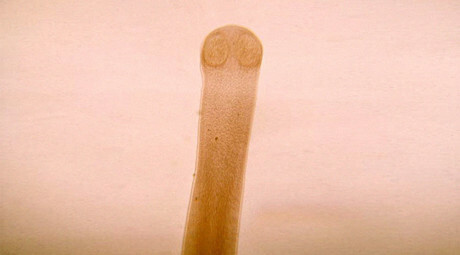 Typically, segments of the parasite are found in the gut, but it is unusual for a whole wriggling worm to be found inside a body.